I have said this time again, DO NOT BE AFRAID OF COLOR. Let me say that again without “yelling”….do not be afraid of color. Sometimes picking one or two colors and using that through out your décor has an exciting visual impact. 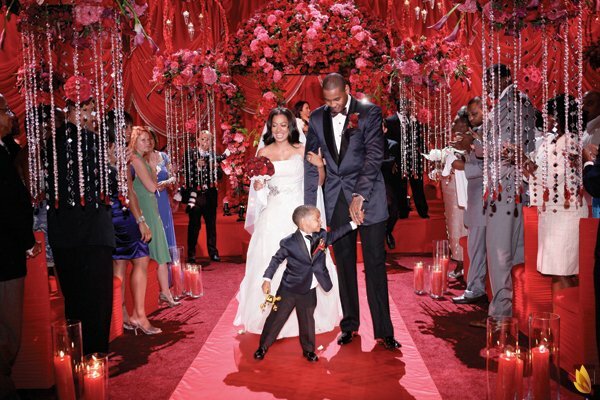 A few years ago Ed was hired to design the wedding and reception décor for Lala Vasquez and Carmelo Anthony. The color palette was deep reds with accents of dark pink. The outcome was a visual feast for the eyes. The happy couple after saying their “I do’s”!